This platinum hair styler from GHD has ultra-zone and predictive technology that adapts to each strand of hair, ensuring you get 365 degrees consistently no matter what part of the hair you're straightening. With consistent heat application, you're able to smooth each unruly strand without having to go over and over the hair, causing damage. 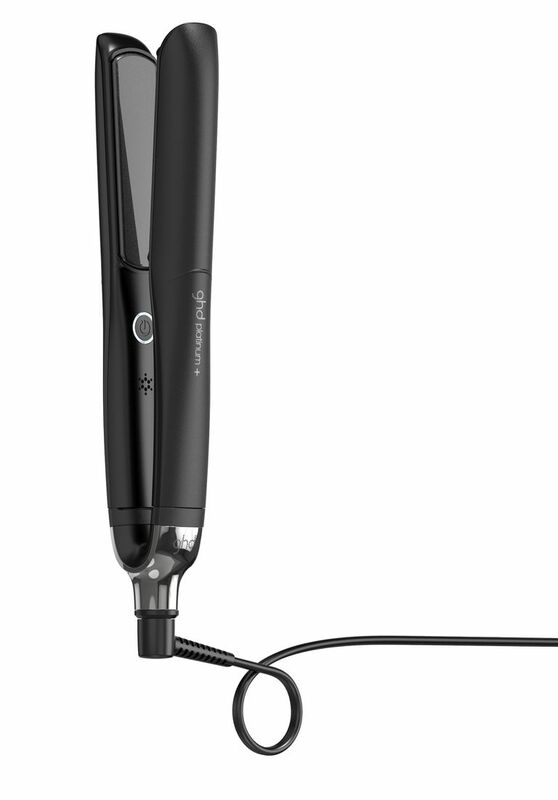 But we aren't done yet... the styler also predicts the coarseness and thickness of your hair, and temperature adapts to give you the very best styling results without you needing to adjust anything. Pretty genius, right? This hair oil from Captain Blankenship is full of organic, nourishing plant oils to help add hydration and shine to hair. It's perfect to protect hair from heat style damage, and manages hair that can be frizzy, along with promoting natural hair growth. Apply a few drops and run through hair before styling for smoother, silkier strands. Maapilim Hair Cream contains natural essential oils to help nourish hair before heat styling, and can be used on both men and women. Simply take a small amount, rub between hands, and apply to damp hair before moving onto blowdrying and heat tools. Bay Leaf Oil helps to strengthen each strand of hair, Bergamot Oil soothes irritation and helps with scalp sensitivity, and Frankincense Oil adds a lustrous shine. Your favorite hair turban and drying towel just launched haircare products, and yes, they are amazing! The Aquis Prime Starter Kit is a one of a kind treatment system that helps prevent a condition called Hygral Fatigue, which is the stretching and swelling of hair that occurs while it's still wet from towel rubbing and blowdrying. The set contains four easy steps, along with a hair turban to ensure you don't do any damage to your hair from the moment you get out of the shower. As a result, hair is frizz free, shiny, and color protected. Apply this blow dry primer from Kerastase while hair is still damp before blow drying for smooth, shiny, and manageable hair. With ingredients such as Ceramide 1,000, amino acids, and MORPHO-KERATINE help restore flexibility and prevent breakage. Leave it in for the smoothest strands ever, you won't be disappointed. Protect the hair you love with this strong hold hairspray from Beachwaver, the masters behind the patented Beachwaver rotating curling iron. Beachwaver's technology contains Hix Alpha Bond Multipliers and a Thermal Defense System to strengthen hair, while creating a natural protectant barrier from heat and styling damage. Apply it after styling for an anti-frizz treatment that keeps hair in place and protected all at the same time. Need a pro tip? Spray it on your brush before brushing through hair for waves that are soft, manageable and stay put. Have color treated hair? After just one treatment of this Color Therapy Luster Lock , you'll notice megawatt shine and color. Be carefree about heat styling because after use, your hair is 9x more resistant to breaking and damage. Apply to clean and damp hair, massage, leave in up to 5 minutes, and then rinse. Use as often as you like for shiny, happy hair. 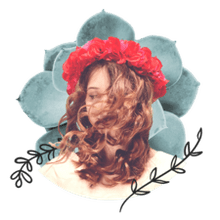 This hair sheet mask contains Aloe Blossom to immediately restore hydration and nourishment to hair that's been stressed and damaged from heat styling tools. It's completely sulfate free, paraben free, contains no harsh salts or dye, is not tested on animals. To use, simply open the packet before showering and remove the sheet mask, shampoo and rinse hair like normal, and then apply the mask to hair, wrap it around like a turban and secure it, leaving it on for 5 minutes to rejuvenate dry strands. One of the easiest products you'll ever get your hands on, this leave in spray helps protect hair from heat styling damage in just a few light spritzes. Spray in hair while damp before blowdrying, the product provides shape memory, allowing your hair to maintain hold and styling shape without having to go over it again and again with the blowdryer. Think of this hair primer from Biolage as your blow-dryer's new best friend. This primer is safe for color treated hair, and protects hair from heat styling tools up to 450 degrees. Formulated without parabens, silicones, or artificial colorants, it's safe to use on any kind of hair including color treated.